When the Portuguese kings and queens stayed at the Mafra Palace, they enjoyed hunting at a local game reserve called Tapada de Mafra. The Tapada is now a national park that offers many fun activities for kids. There are train rides, donkey rides, archery lessons, and falconry demonstrations. 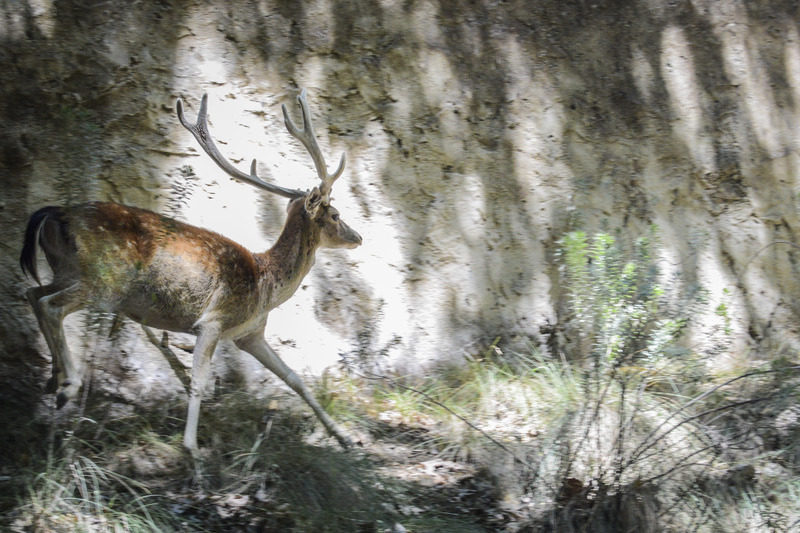 You can see deer, wild boar, foxes, and other animals in their natural habitat. Our favorite activity at Tapada is taking horse-ridding lessons. A 30-minute lesson costs only 5 euros. But riding an elegant horse in the beautiful Tapada grounds, always makes us feel like royalty. Click here for the Tapada’s web site. Mafra is an easy 40 km drive from Lisbon on the A8 highway. Horse-ridding lessons are offered between 9:30 am and 12:00 pm. It is a good idea to call in advance to make reservations (Tel. 261 81 4240 or reservas@tapadademafra.pt). 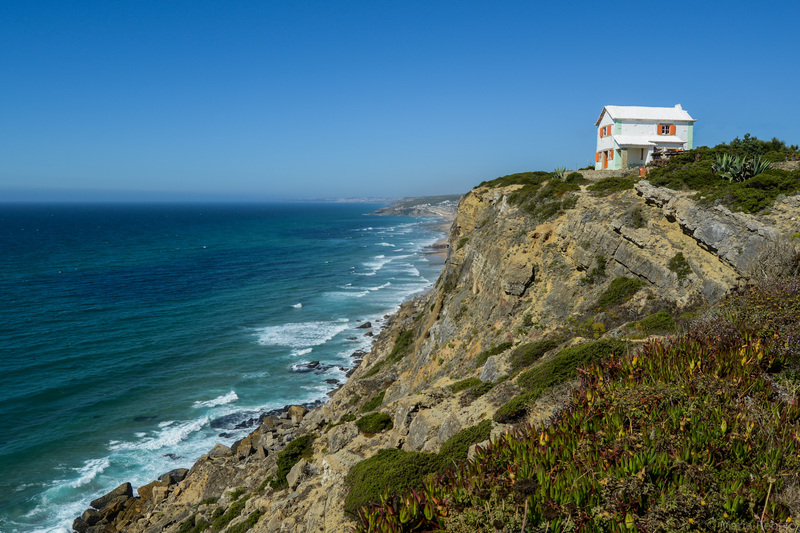 One of the most famous beach houses in Portugal is Casa Branca (white house) in the village of Azenhas do Mar. Architect Raul Lino designed it in 1920 to be his Summer home. Lino had to choose between building within the village perimeter to gain access to electricity and running water, or to forego these modern comforts and place the house on a cliff with an incredible ocean view. For him, the choice was obvious. Raul Lino is famous for synthesizing the vernacular traditions that go back to Roman times to create the archetypal Portuguese house. The Casa Branca is based on this archetype, but Lino made two surprising choices. Instead of using the traditional green color for the windows, he chose bright orange. Then, he painted the orange roof tiles white, thus accentuating the orange of the windows. Orange is the complementary of blue and so the windows of Casa Branca became the complement of the sea. It’s as if, to be beautiful, the sea needs someone admiring it from the window. 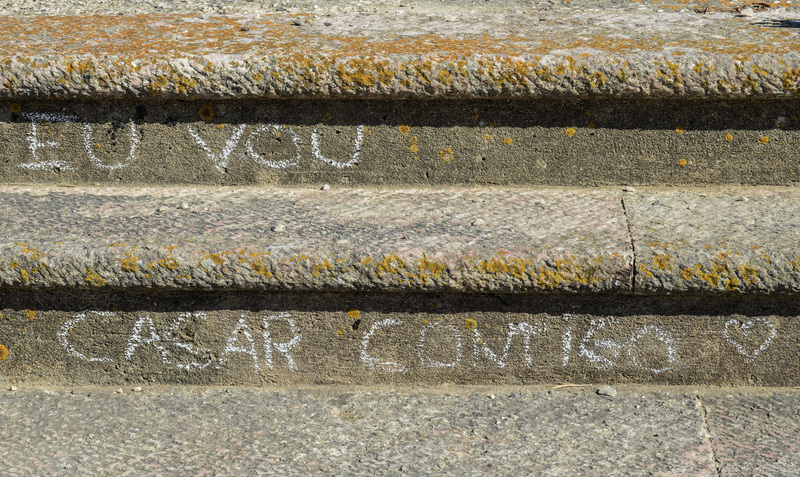 On the steps of the stairs that lead to the lookout point at Azenhas do Mar, gently inscribed in white chalk, are the words: “eu vou casar contigo” (I’m going to marry you). Was this promise well received? Did they exchange wedding vows and live happily ever after? We’ll never know. What we do know is that Azenhas do Mar is a perfect place for a marriage proposal. The French use the expression “village perché” to describe a village on top of a hill, overlooking the surrounding landscape. 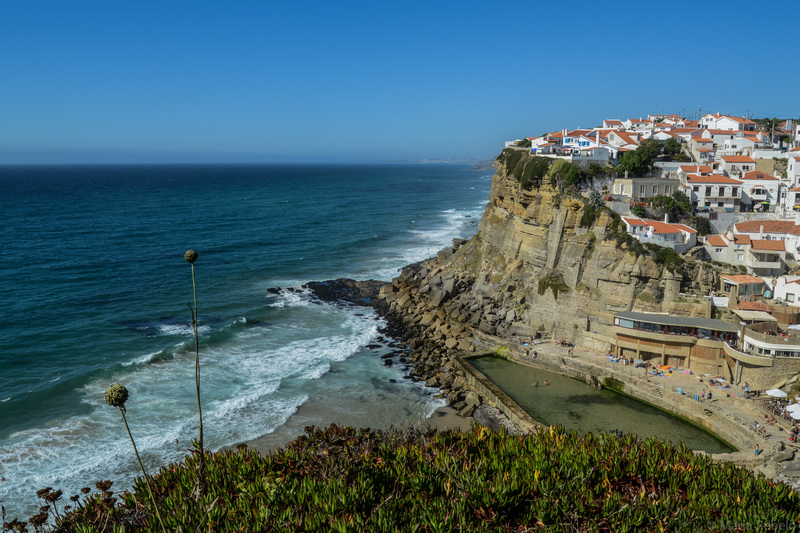 One of the prettiest village perchés in Portugal is Azenhas do Mar. Built on a cliff in the Colares region near Sintra, it has amazing views of the Atlantic ocean. If you rent a house in Azenhas do Mar, you can spend the day listening to the waves and watching the sea try different shades of blue and green. It’s a very fine use of time. The Pena Palace, Maria Rebelo, digital print image, 2012. The story of the Pena Palace begins in the 16th century. King Dom Manuel was hiking in Sintra when he sighted Vasco da Gama’s sailboats arriving in Cascais from their voyage to India. To celebrate da Gama’s feat, the king built a monastery on the top of the Sintra mountain. But, over time, the building fell into disrepair and was eventually abandoned. When Ferdinand Saxe-Coburg-Gotha, the husband of Queen Dona Maria II, visited Sintra, he saw the derelict monastery surrounded by a barren landscape. Ferdinand imagined a beautiful palace and an enchanted forest. He bought the property in 1838 and restored the old monastery to use as a Summer residence. Later, he built an adjacent palace with larger rooms to accommodate state functions. The monastery is pink and the new palace yellow, so they are easy to tell apart. Around the palace, Ferdinand created artificial lakes and an irrigation system. He studied the soil and supervised the plantation of trees brought from all over the world. In 1853, Dona Maria died and Pedro, the couple’s elder son, inherited the Portuguese throne. Ferdinand was offered the throne of Spain, but he loved living in Pena so much that he refused the offer. The Pena Palace is the dream of a German prince who fell in love with Portugal. Colares wine is made with a unique varietal called Ramisco. Farmers plant this vine on sand, digging a deep hole until they find a layer of clay to attach the roots. All this hard work paid off during the phylloxera epidemic because Ramisco was one of the few varietals to survive the disease. 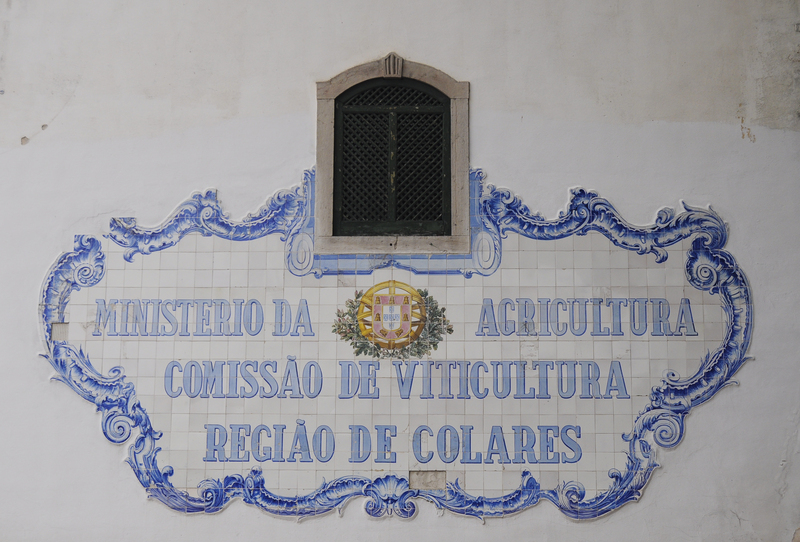 If you’re in Sintra and you’re interested in wine, visit the nearby town of Colares to drink a glass of Ramisco at the local cooperative. It’s not everyday that you can taste a wine unscathed by both the phylloxera plague and the criticism of Eça de Queiros. Adega Regional de Colares, Alameda Coronel Linhares de Lima, 32, Colares, tel. 219291210, email: geral@arcolares.com. Wine tastings by appointment. Click here for the Adega web site.